The Naismith Memorial Basketball Hall of Fame’s Spalding Hoophall Classic took place January 11-15 at Springfield College, and our technology tracked every shot taken. This showcase annually features the top high school players and teams from around the country, previously hosting NBA Champions and All-Stars, many NBA First Round Draft Picks, College All-Americans and McDonald's All-Americans. This year, several of ESPN’s top recruits played throughout the weekend: R.J. Barrett, Zion Williamson, Cam Reddish, Bol Bol, Keldon Johnson, and Anfernee Simons. Using a sensor located above the rim to track every shot taken during each game, we provided real-time data on every shot’s arc, depth and left-right position entering the basket. Each shot was attributed to the player who made the attempt, and all data was stored within our Noahlytics Data Service. The coaches and teams who took part in the Hoophall Classic will soon be receiving the loing in order to better understand their players’ shooting. his is the first year we have provided this data to coaches and teams of the Spalding Hoophall Classic. 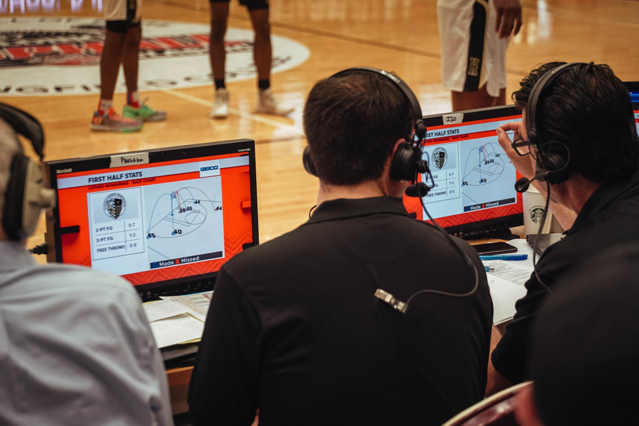 In 2017, we provided live, and in-depth data and analytics at the Naismith Memorial Basketball Hall of Fame’s Hoophall West High School Invitational, as well as other high school tournaments across the country. Our Noah Shooting System can pinpoint the location of each shot attempt made on the court, as well as if the shot was a make or a miss. We can also track exactly where each shot enters the rim, creating unique Rim Maps that help players and coaches know exactly how to improve, and show analysts greater detail about the game and each team’s shooting trends. Our technology is available for shooters at every level from high school to the NBA, and we offer free shooting clinics that allow players to experience the data found in our Shot Charts and Rim Maps for themselves. Request a clinic now to learn more about how this technology can help create more consistent shooters.